Those who arrived early to see their nurses graduate were lucky, because by ten minutes till, there wasn’t a spare seat to be found among the 1,500 in the auditorium. 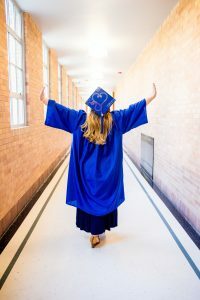 The friends and family in those seats jumped to their feet clapping and whistling as the triumphant procession of graduates entered the room and took their seats. 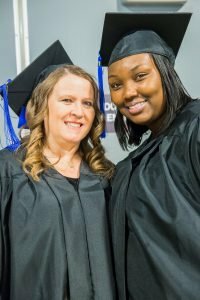 Fifty-seven Nightingale learners graduated this semester, completing their Associate Degree in Nursing. As they took their seats, their excitement was more obvious than kids on Christmas morning. Cheers and whoops erupted from the soon-to-be nurses. What an accomplishment! We are so proud of all these learners who have studied countless hours, sacrificed precious sleep, and dedicated so much of their time and energy to becoming nurses. We know you will be incredible in this noble profession. These graduates will now work towards passing the NCLEX-RN and becoming licensed as registered nurses. After the announcements had been given, Amanda Nussbaum, lead faculty for Twin Falls and assistant professor, gave a moving speech about how nursing isn’t always about how much you know from your textbooks. Most of the time, she said, it’s about how much you demonstrate care to the patient. She also threw in some punny jokes, after a friend on Facebook told her she would give her $5 for each one she told. We love her attitude. The valedictorian address, given by Annie Dilling, focused on what it means to truly be a nurse. “Being a nurse is 90% calling and 10% job,” she said. Although there are challenges and demands in the nursing field, it is a profession in which you can truly make a difference. We’re proud of you, Annie. After the speeches, a small group of graduates was called to the stage. Their selected family members, dressed in their best, had the honor of presenting them with their nursing pin. The nursing pin is a symbolic medal of honor, and a commitment to treat patients with respect. It is a poignant rite of passage into their nursing career. 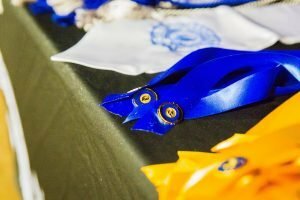 Many of the graduates had their children pin them, and one little tyke ran around the stage refusing to leave after his mom was pinned. A few of the graduates tried to catch him, but he ran circles around them until they cornered him. Other graduates were pinned by their spouses or parents. One graduate had someone stand in for her mother, who has passed on, in a touching tribute. The lighting of the lamps is a reverent ordeal where the Nightingale graduates light each of their lamps to symbolize the lamp that Florence Nightingale tirelessly carried to and from each sickbed. 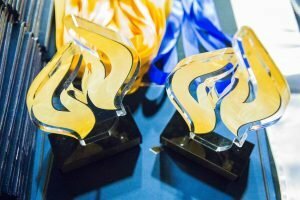 “The graduates light the Nursing Lamp as a demonstration of confidence, competence, and compassion and as a promise to meet every professional challenge with utmost skill, sound clinical judgment, and inexhaustible caring,” reads the description. to care for my patients with all of the knowledge, skills and understanding that I possess, without regard to race, color, creed, politics, or social status.” We know you will, graduates. cohort in the school’s history, it also marks the first graduation of the Twin Falls, Idaho DDC. 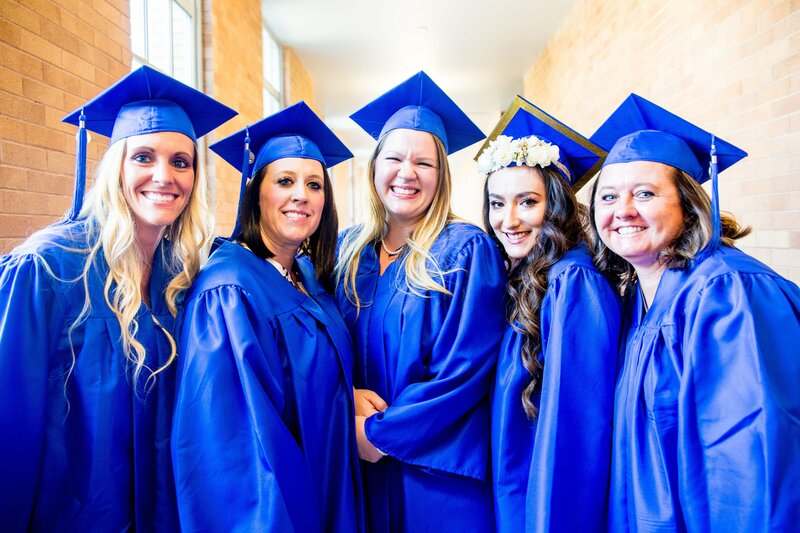 Six graduates came from the Twin Falls DDC, along with 17 from Pocatello, three from Saint George, and 30 from Ogden. how they better the health in their communities. Congratulations, graduates! FLAME! FORWARD! 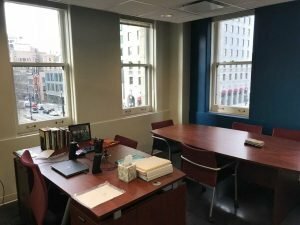 Flames, faculty, and philanthropy: August FLAME! FORWARD! FLAME! FORWARD! 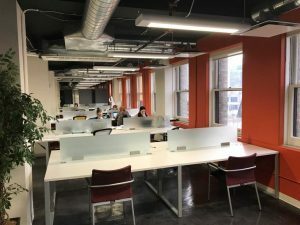 is our company’s time for all collaborators, both faculty and administration, to realign with our mission, vision, and values, and to be appraised on the state of the College. It is also a week to remember Florence Nightingale’s caring example, and to carry the flame forward to help those in need. Through personal elevation, company unity, and giving back to the community, Nightingale College’s tradition of FLAME! FORWARD! is an opportunity to spread some good in the world, just as Florence Nightingale did. This year, we also heard from our Elevate Coach, Greg Wightman. Greg spoke about how he tries to improve people, relationships, and functions through elevation, without taking away the differences that make each party unique. “I try to elevate the process, but not lose the humanity in the elevation,” he said. The second and third days are faculty development, the time when faculty learn from our Executive Council how to better teach their learners. 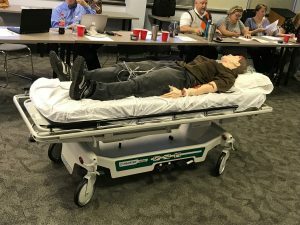 For example, the lead faculty in St. George, Utah, taught our faculty different ways to prepare the high-fidelity simulation mannequins within the school, including some new techniques for removing the clothing of a burn victim. Susan Jero, the Director of Nursing Education Services, presented on the College curriculum and provided other nursing program updates. 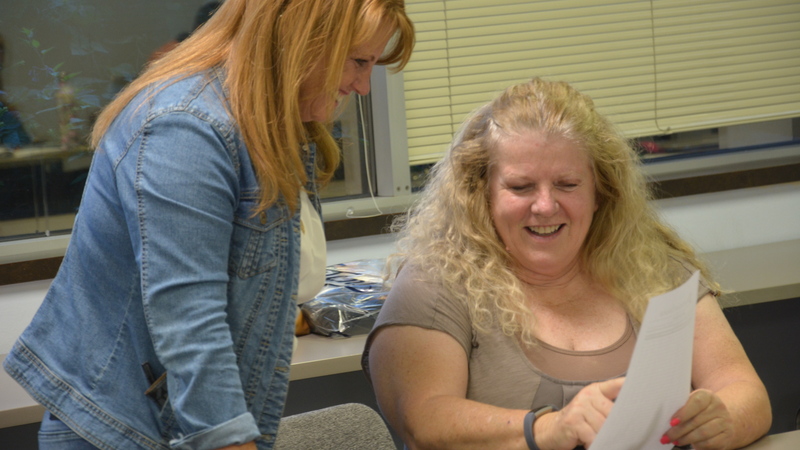 The faculty also discussed how their learners are doing, and the specifics of different classes. Some teachers had questions about how to deal with absenteeism. Others had questions about the remote model, and how to connect and interact with the learner over the internet. Give Back Day is usually the favorite part of FLAME! FORWARD! 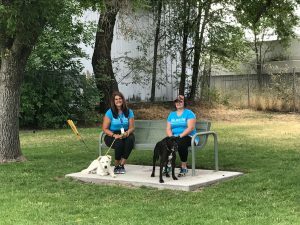 This year, there were three different locations that needed our help: The Ogden-Weber Community Action Partnership, The Humane Society of Utah, and the Weber County Animal Shelter. OWCAP is a local “Head Start” program, or a preschool program for children in low-income families. The facility also houses a food bank, an employment center, an adult education center, a Volunteer Income Tax Assistance (Vita) program, and many other services that help those in our community with low incomes. 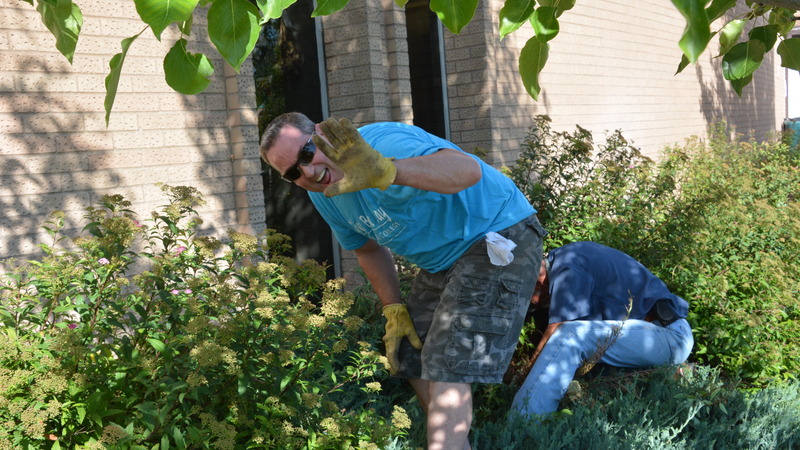 Those who went to OWCAP helped with landscaping and cleaning in preparation for the upcoming school year. 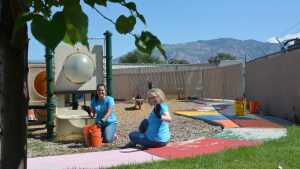 While some collaborators washed windows, others pulled weeds in the playground areas and others ripped out bushes that were becoming too overgrown. Some bushes were so hard to pull out, our crew had to recruit the help of the OWCAP staff’s pickup truck and rip them out with a chain! At The Humane Society of Utah, a no-kill shelter in Salt Lake City, our collaborators helped load trucks for the upcoming “Clear the Shelters” event, on August 19, 2017. Animal lovers, listen up! All cats, bunnies, and small animals have a waived adoption fee, and all dogs will have a 25% off adoption fee for that day only. 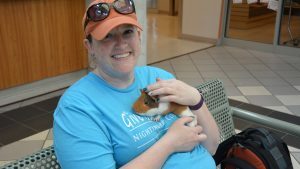 Many of our collaborators wanted to adopt the animals themselves after volunteering to walk the dogs and cuddling the cats and small animals. The hard part for them wasn’t loading trucks, it was returning to the College without an animal. 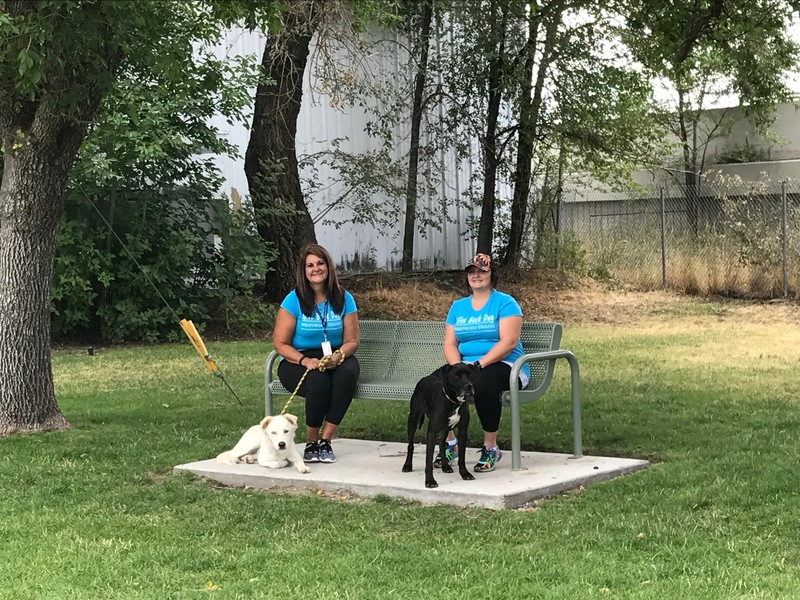 The faculty volunteered at the Weber County Animal Shelter, a facility that has a mission similar to our own, but a smaller, fluffier clientele. 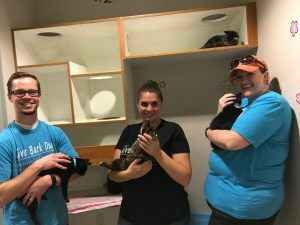 Like the volunteers at the Humane Society, they walked dogs and helped clean the facility. 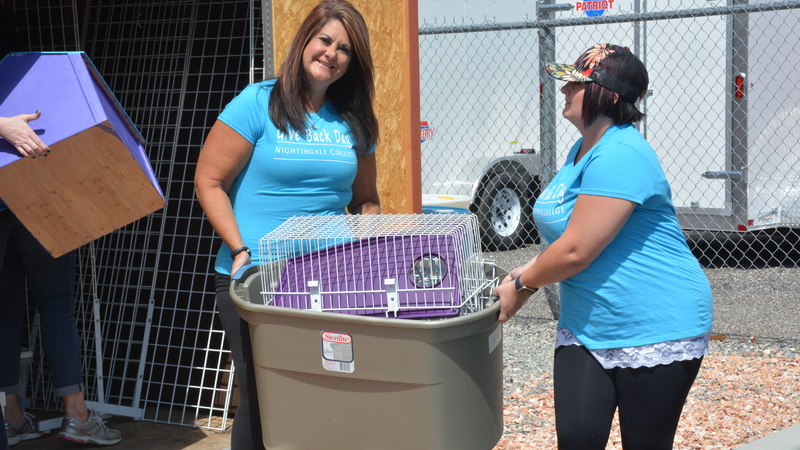 The shelter thrives on volunteers to assist in their day-to-day operations, and help their pets find forever homes. Volunteering is essential to our own operations here at Nightingale College. Our first value, Beyond Self, constantly challenges us to selflessly serve others. We do that by not only serving in our communities, but by helping educate those nurses who will, in turn, serve their own communities. We hope that those nurses we graduate will carry the FLAME! FORWARD! tradition on and continue to elevate themselves and society. Nightingale College celebrates the initial accreditation of the baccalaureate degree nursing program by the Commission of Collegiate Nursing Education (CCNE) through June 30, 2022. With such an achievement, the College is able to offer an accredited RN-to-BSN Program to licensed nurses who are ready to take the next step in the nursing education and career. We are excited to share this news with our community and look forward to continue to serve our nursing education in communities throughout Utah, Idaho, and Wyoming. Read our full press release by clicking here. 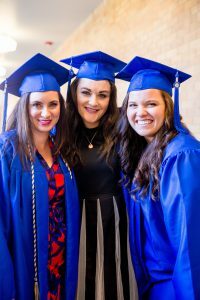 The Nightingale College collaborators strive to elevate the organization in a manner that helps us achieve our long-term goals to improve communities our nursing graduates serve. But to help us reach our goal, we need our team to consist of exceptional and dedicated individuals. For that reason, we are excited to announce that the team at Nightingale College continues to grow and brings on more talented individuals. This week is the College’s New Collaborator Orientation Week that allows new collaborators to orient to the College and learn more about what the Nightingale Difference truly is. We’d like to welcome the newest team members to the Nightingale family. 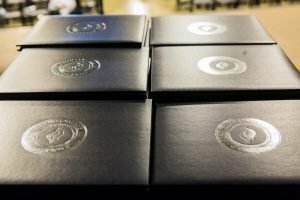 Congratulations to the Spring 2017 graduating cohort. *We apologize for the absence of sound. We are working on improving this process for our next graduation. May 6 through May 12 is National Nurses Week. Nightingale College wants to thank all nurses for their hard work and dedication to improving their communities through better health. We are honored to have the opportunity to educate the nurses of tomorrow who will selflessly be serving communities across the nation, driving positive health outcomes for their patients and community. With confidence, competence, and compassion, nurses are at the front lines of health care. We wish all current and future nurses a Happy Nurses Week. To take a look back at the history of National Nurses Week, click here to read our blog Nightingale College Celebrates National Nurses Week. Thank you to the Nightingale College faculty family. Your dedication to our learners is remarkable and we couldn’t imagine a better group of individuals to lead our learners to becoming competent nurses. We are excited to announce the addition of ten new collaborators to the Nightingale team. Nightingale College’s dynamic environment is created not by accident. It is created and constantly molded by the contributions and efforts of the College’s collaborators. A testament to fulfilling the College’s mission is exemplified by the collaborators who help write the story, illustrate the pages, and set the framework for future chapters. 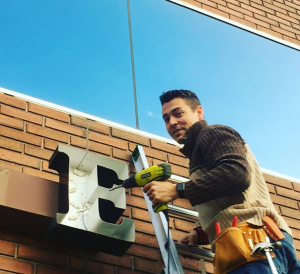 With each new collaborator comes a new perspective and character who is essential to continuing the Nightingale College story. As the College continues to grow and move forward, it is critical to maintain a team of innovative thinkers and passionate instructors. Every collaborator at Nightingale College contributes to the realization of the College’s mission and vision. Just as Florence Nightingale’s lamp lit up the night and helped the healing, let the Cradling Flame of the College’s Seal illuminate [their] way and guide [them] on our journey of supporting the learners in their quest to becoming great registered nurses. Once again, I am thrilled to have [them] as part of the Nightingale family! We would like to welcome the new collaborators who joined the team mid-March and have already been astronomical in paving the way forward. To view our complete list of Officers, Faculty, and Staff, click here. 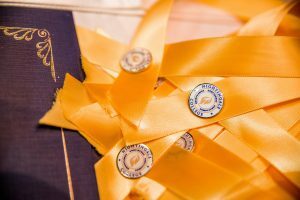 Congratulations to our most recent ADN graduates who walked across the stage with their nursing pin and associate degree in nursing. 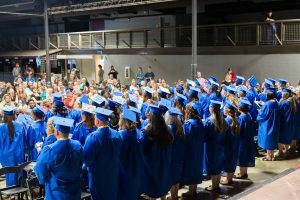 Graduation is one of our most favorite times of the year because we get to celebrate the hard word and dedication of our learners. Furthermore, the Fall Class of 2016 is monumental in Nightingale College’s history. It is the first graduation that includes learners from our DDC locations. 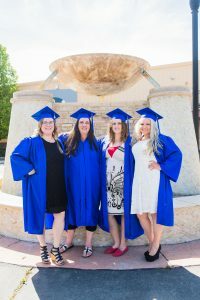 The graduating class consisted of learners not only from the Ogden location but from St. George, Utah and Pocatello, Idaho. We look forward to the graduates’ future in nursing. Missed graduation? Check out the Live Video we took during graduation on our Facebook page. Click here to go to our videos section. EVANSTON, WY (August 24, 2016) – Local healthcare facilities have successfully partnered with Nightingale College to provide local nursing degree programs to residents of Evanston and surrounding communities. Nursing college acceptance and admittance remains competitive, and attending a nursing program is not always feasible for some community residents while others travel, even relocate, to attend a nursing program. Healthcare facilities struggle to employ the sufficient number of nurses due to potential nurses relocating for school and the current nursing workforce reaching retirement age. These factors make it difficult for healthcare facilities to meet the community’s needs. Alongside the demand for registered nurses is the rising need for accessible educational options—a necessity recognized by Nightingale College. Nightingale College brings its associate and bachelor’s degree in nursing programs to Evanston as a means of encouraging locally grown registered nurses. The College’s pioneering approach to supply nursing education through distance learning and on-ground lab and clinical experiences allows communities the availability to continuously grow and maintain registered nurses at a local level. Additionally, higher-level degree nurses are in high demand because their advanced knowledge and skills are preferred when caring for the patients with diverse medical needs. 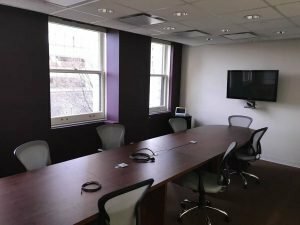 The College’s expansion to the Evanston area will provide current nurses with an option of furthering their education to obtain a bachelor of science in nursing (BSN) degree, which is essential to training and leading new nurses entering the healthcare field. 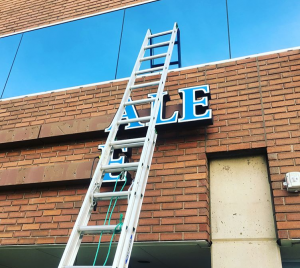 Healthcare employers partnered with Nightingale College provide an educational opportunity designed to expand the pool of local ready-to-work registered nurses and supply an additional advanced degree nursing program that is available to the community. 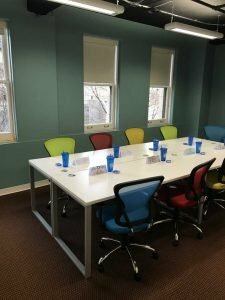 These healthcare employers investing in local education and employment prepare their communities to support fully staffed and safe nursing units while contributing to the increase in the number of qualified RN applicants in the area. 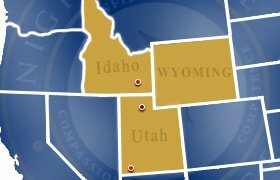 As of August 2016, Wyoming joins Nightingale College’s four other partnership cohorts located in Utah and Idaho. One of our values is Beyond Self. It is a simple collection of two words meaning something very powerful—something we collectively define as “a meaning to selflessly serve others.” As an organization, it is important to us to find ways to reach others in a positive manner to the point when an appreciative, endearing smile goes beyond a thank you. 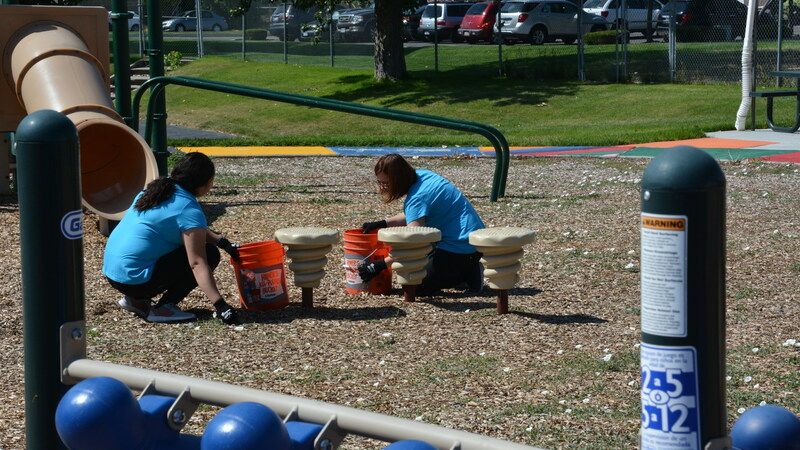 We actively unite together twice a year to make a difference during our Give Back Days. 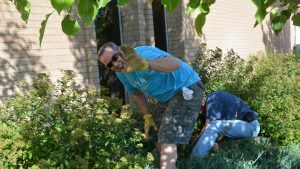 The College’s Give Back Day initiative commenced in 2013 when employees banded together with the goodwill of showing the power a group of individuals can have on the community. Past Give Back Days have included delivering 100 sack lunches to the St. Anne’s Center, helping the Boys and Girls Club of Ogden move, donating an iced-themed tree to the Festival of Trees organization, and remodeling the interior room of the OWCAP/Head Start building. 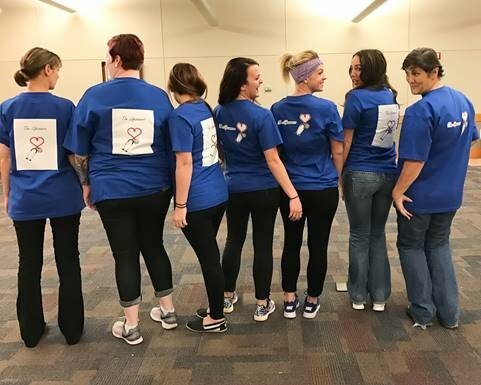 Give Back Day has become a standard biannual tradition of the College that allows employees to exemplify compassion and the value of Beyond Self—characteristics the College encourages its nursing students and employees to embody. 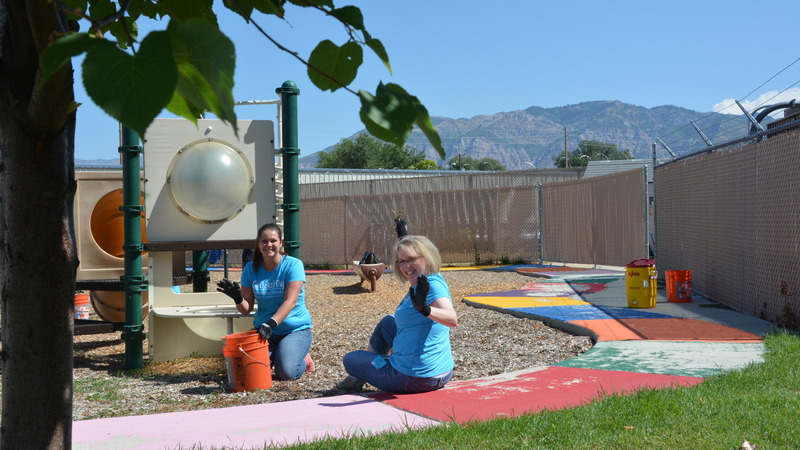 On Wednesday, August 17th, we came together to donate food and supplies to the Lantern House in Ogden, Utah. 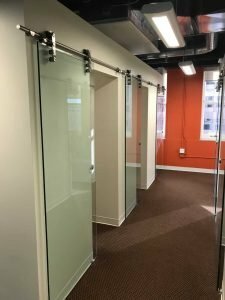 The Lantern House, formerly known as St. Anne’s Center, serves community members who are less fortunate find a place of refuge that also provides food and shelter. 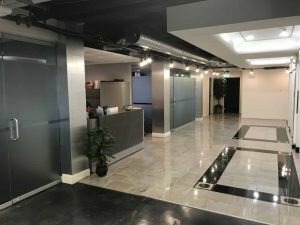 Serving men, women, and families, the Lantern House opens its doors to assist its residents more forward towards a better life. The organization works closely with each resident to support them in finding employment and establish residence. Additionally, the Lantern House’s soup kitchen feeds upward of 300 hungry individuals a day who travel as far as Logan to the north and Bountiful in the south. The volunteers and staff at the organization rely strictly on food donations to feed each person that comes through the door. Nightingale College donated a variety of foods that will assist with feeding the large quantity of people. We are grateful to have the opportunity to work again with such an amazing organization whose mission is to go beyond self and be a helping hand to those in need. It is a constant reminder that there are many chances for each of us to volunteer and help another. The Lantern House is constantly looking for volunteers to join their efforts and for people to donate much needed items. For those interested, visit their website by clicking here. We are excited to have captured our time at the Lantern House. Head on over to our Facebook page to check out our adventure. Please note that CCNE shares third-party comments only with members of the evaluation team. 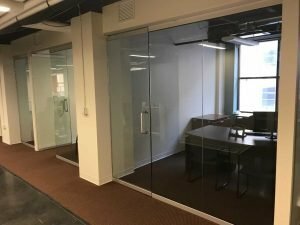 The evaluation team only considers third-party comments that relate to the program’s compliance with the accreditation standards. At no time during the review process are these comments shared with the program. However, all compliance concerns related to the accreditation standards will be identified in the accreditation report and the program will have an opportunity to respond to the concerns as part of its report response. If you would like to submit a third-party comment, please submit it to thirdpartycomments@aacn.nche.edu or mail comments to the address above. Thank you for assisting in the accreditation process for Nightingale College’s Registered Nurse (RN) to Bachelor of Science in Nursing (BSN) Bridge Program. TWIN FALLS, Idaho (July 13, 2016) – Local healthcare facilities have successfully recruited Nightingale College’s associate and bachelor’s degree nursing programs to help retain and promote homegrown registered nurses. 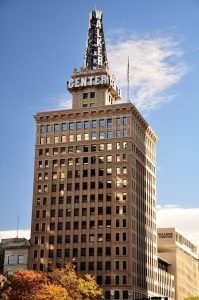 According to the Idaho Nursing Overview published in 2015 by the Idaho Department of Labor, Idaho will experience a 2.5 percent annual growth within the nursing profession. Although the report states that Idaho graduates plenty of nurses to meet the demand, only 60 percent of graduates remain in the state to work, leaving employers to recruit from other sections of Idaho and pursuing out-of-state candidates. Forward-thinking local healthcare employers have partnered with Nightingale College to provide an educational opportunity designed to expand the pool of locally grown and ready-to-work registered nurses. 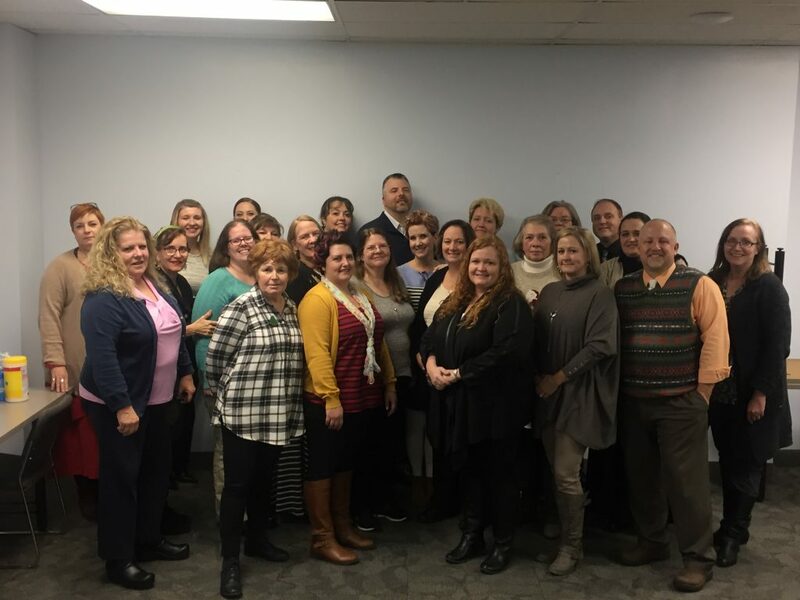 These healthcare employers investing in local education and employment are preparing their communities to support fully staffed and safe nursing units by reducing of the high turnover rate within the nursing profession and contributing to the increase in the number of qualified RN applicants in the area. 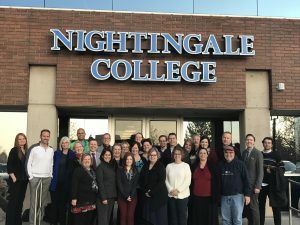 Nightingale College, a Utah-based nursing school, supports this growing need for nurses by bringing the associate and bachelor’s degree nursing education programs in-house to healthcare facilities. The College’s approach to supply nursing education through distance learning and local on-ground lab and clinical experiences allows healthcare partners the availability to continuously grow and maintain homegrown registered nurses. 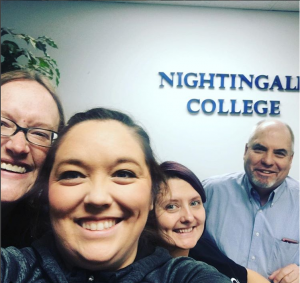 Nightingale College continues enrollment for the next open semester in August 2016 with the help and partnership of local facilities Desert View Care Center, Lincoln County Care Center, Mini-Cassia Care Center, Oak Creek Rehabilitation, and Sawtooth Behavioral Health. Last Friday, we celebrated the graduating cohort of 33 ADN learners and 2 BSN learners. We are so proud of their success and can’t wait to see what the future has in store for them. 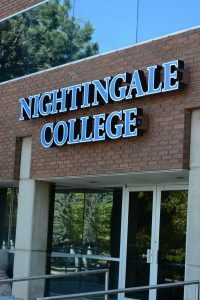 Nightingale College® has voluntarily decided to add an additional accreditor for its Associate of Science in Nursing Degree Program. Nightingale College® recognizes the important role accreditation has in continuously improving the programs offered. The College has selected the National League for Nursing Commission for Nursing Education Accreditation (NLN CNEA) to be its additional accreditor. Nightingale College’s Associate of Science in Nursing Program is pursuing pre-accreditation candidacy status from the National League for Nursing Commission for Nursing Education Accreditation (NLN CNEA), located at 2600 Virginia Avenue, NW, 8th Floor, Washington, DC 20037; phone 202-909-2500. Interested parties are invited to submit third party comments in writing directly to NLN CNEA, attention Andrea Browning, NLN CNEA Administrative coordinator, no later than May 26, 2016. Since 2002 the College has been institutionally accredited by the Accrediting Bureau of Health Education Schools (ABHES), a nationally recognized accrediting agency, and as of January 2014, its Associate of Science in Nursing Degree Program is presently accredited by the Accreditation Commission for Education in Nursing, Inc. (ACEN). As a college built by nurses for nurses, Nightingale College®, also referred to as the “College,” dedicates itself to graduate confident, competent, and compassionate future nurses who are able to be leaders in the health care field. 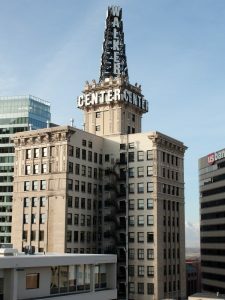 Established in 2011 in Ogden, Utah, and as an accredited institution, the College delivers its nursing education programs via online learning modules and local on-ground labs and clinicals. The College currently holds two degree programs: the Associate of Science in Nursing (ADN) and Bachelor of Science in Nursing (BSN) Degree Programs. As part of the College’s mission, providing accessible nursing education programs offer communities the chance to build and maintain a constantly growing network of homegrown registered nurses. To learn more about the College, its mission, and programs, visit https://nightingale.edu/.